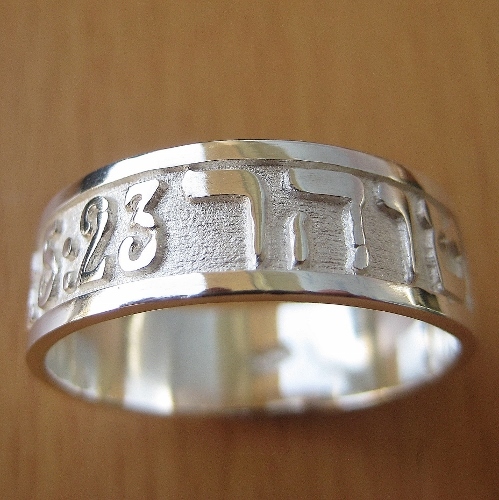 Inscribed on the ring is 1 THESS 5:23 and Tohar in Hebrew meaning purity. 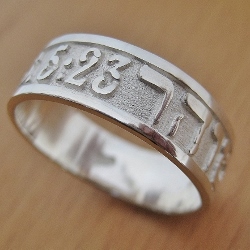 Width of band: 8.5mm. 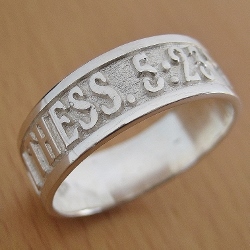 Please specify ring size at the end of your order under "Comments and Special requests."